Radio signals converted to sounds from the solar system!!! 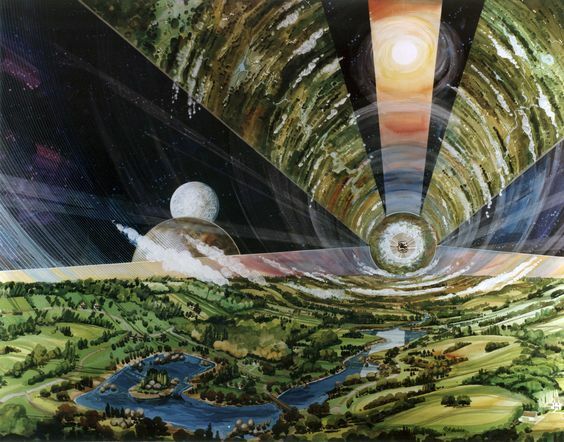 has distilled more than half a century of space travel into a beautiful print. lander, rover, flyby, and impactor to ever successfully slip the surly bonds of Earth's orbit. and arrange massive amounts of cultural data into meaningful works of art and information. 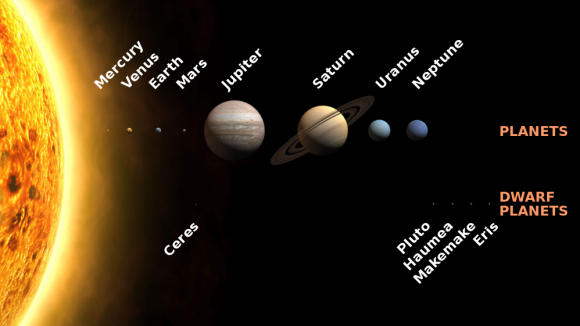 Click Here The Solar System Digest! 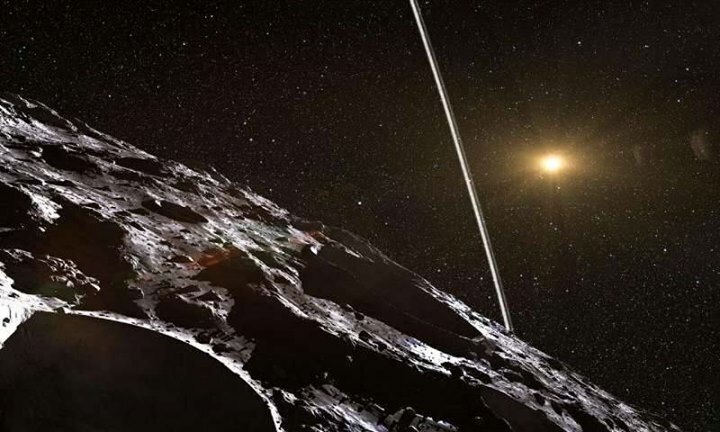 scientists calculate that it probably originated from outside our Solar System. 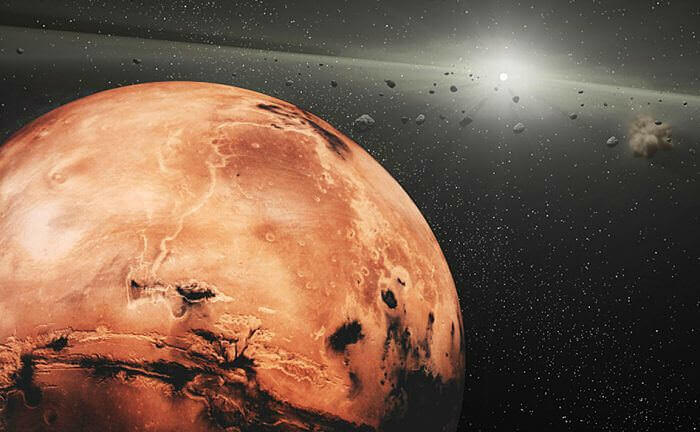 Thus a nightly search for near-Earth objects may have uncovered an object whose origins lie much further away. 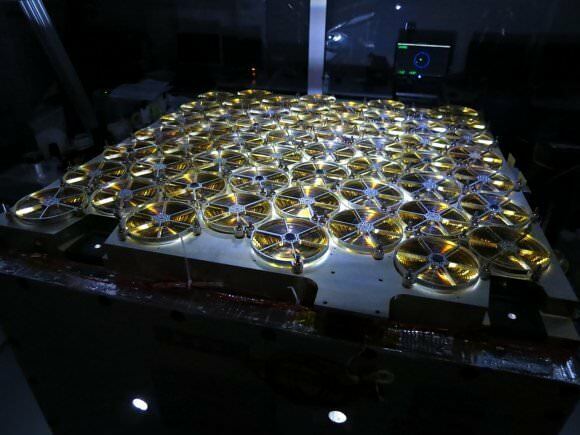 SEXTANT will demonstrate a GPS-like absolute position determination capability by observing millisecond pulsars. 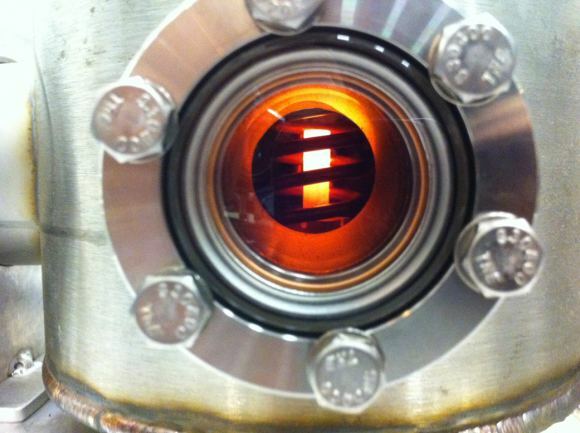 observations and play an instrumental role in demonstration X-ray navigation. 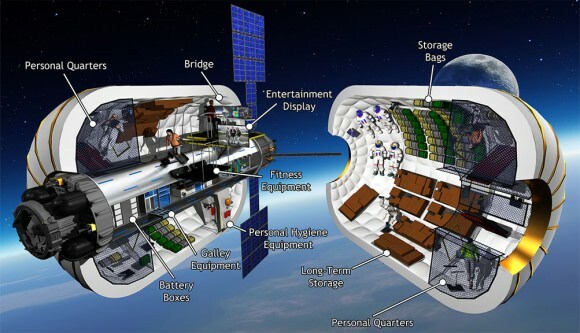 The NICER payload, shown here on the outside of the International Space Station. as seen in the solar system (by no ridiculous coincidence), Earth orbits the Sun 8 times in the same period that Venus orbits the Sun 13 times! Drawing a line between Earth & Venus every week results in a spectacular FIVE side symmetry!! create Fibonacci symmetries?! You bet!! 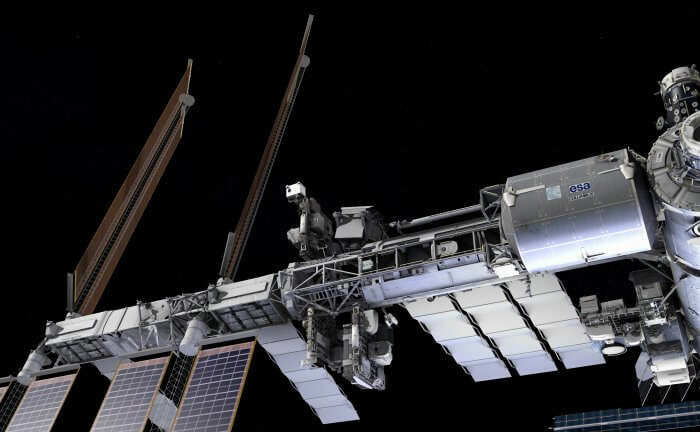 of the International Space Station, seeks to find the answers to some of the questions still being asked about neutron stars. an on-board demonstration of pulsar-based navigation. 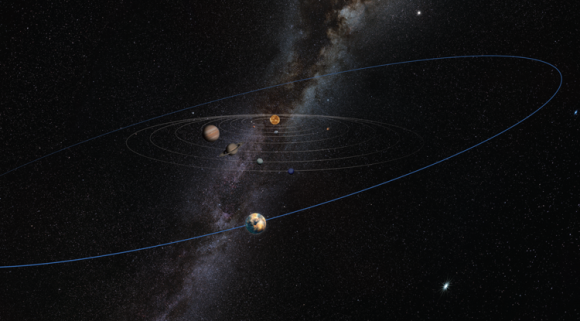 The IAU has revamped their solar system coordinate system. 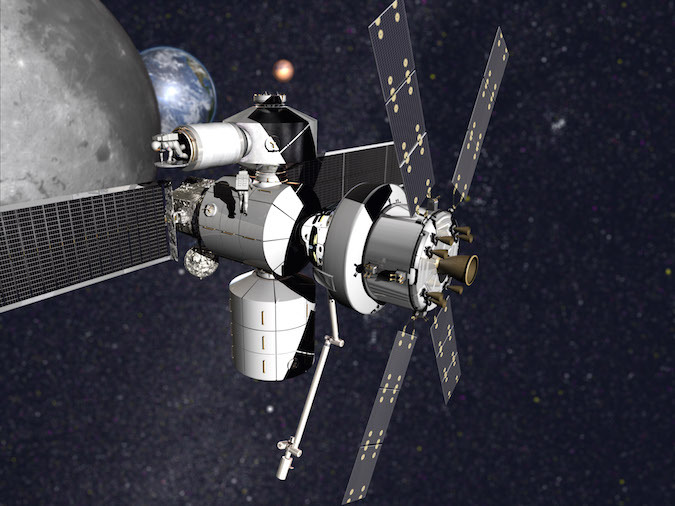 for future CubeSat missions to the Moon and human exploration spacecraft. 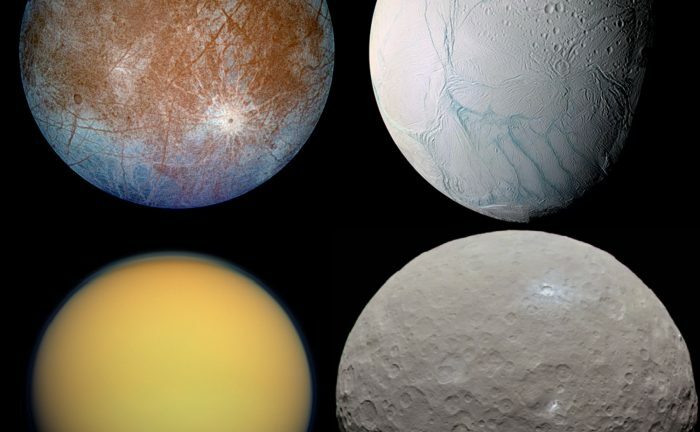 left to right, these include Europa, Enceladus, TItan and Ceres. 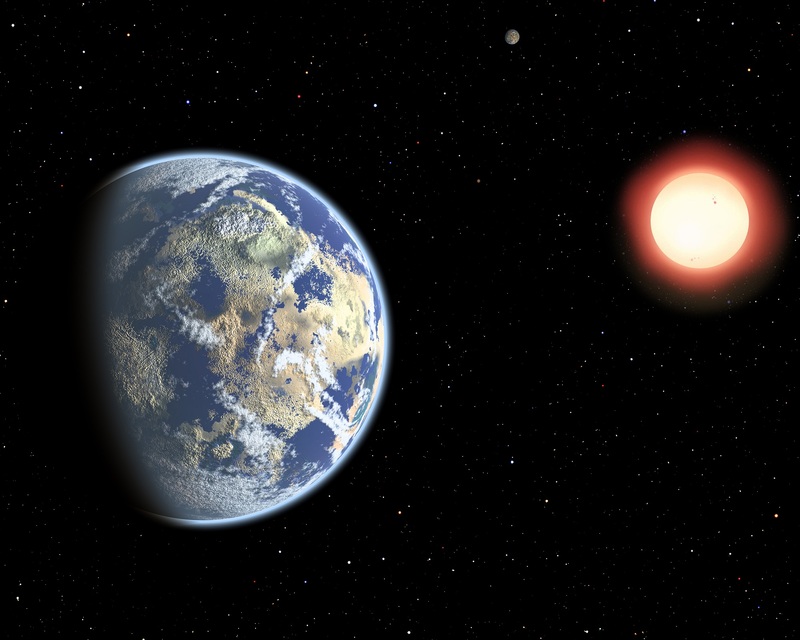 Artist’s depiction of a watery exoplanet orbiting a distant red dwarf star. 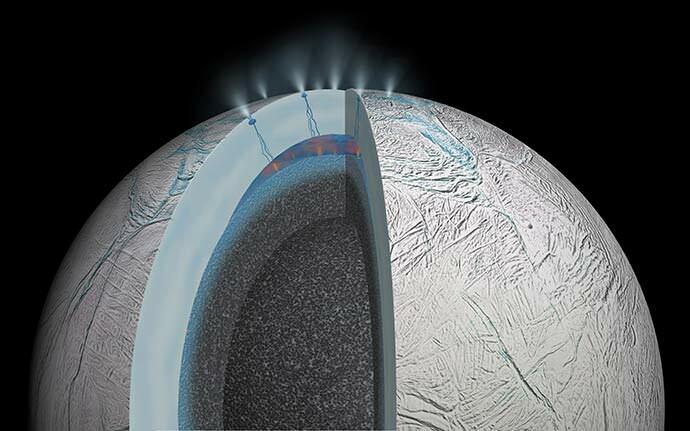 which shows how hydrothermal activity may be causing the plumes of water at the moon’s surface. 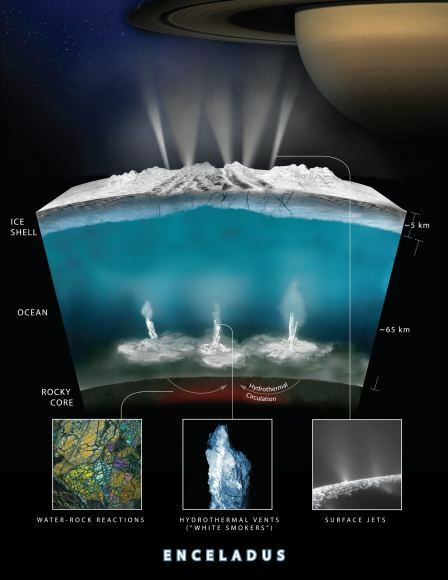 on and under the seafloor of Enceladus. 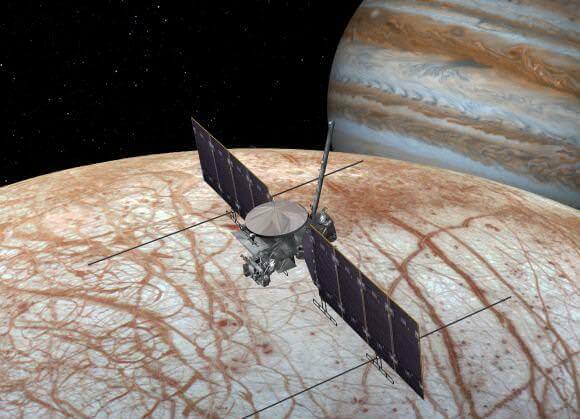 Artist’s concept of a Europa Clipper mission. is a very intriguing celestial body that surprised astronomers last year. when it passed in front of a star UCAC4 248-108672. 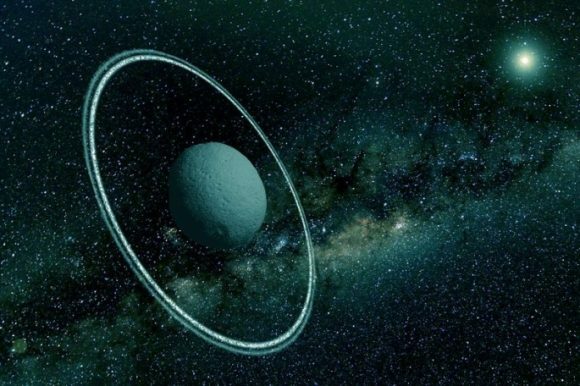 The discovery was surprising because it had been thought that rings could only be stable around much more massive bodies. 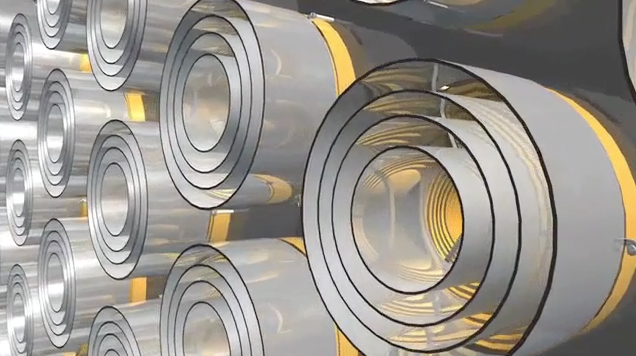 mass comparable to that of the rings. 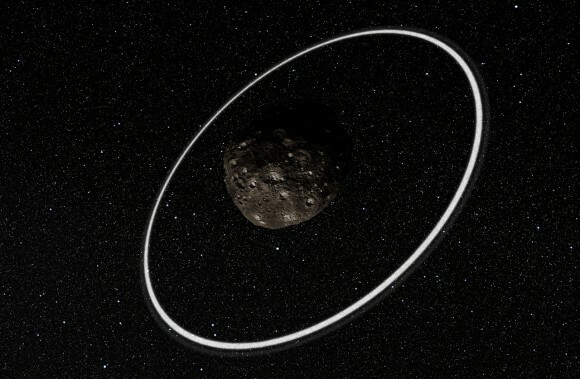 Artist’s impression of rings around the Centaur Chariklo, the first asteroid where rings were discovered. 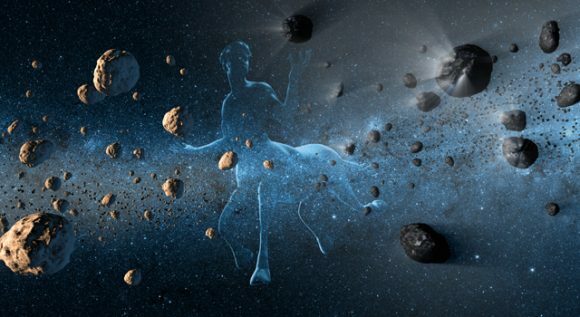 Due to their dual nature, the name Centaur has stuck when referring to objects that act as both comets and asteroids. observed perturbations in the distant Kuiper Belt. 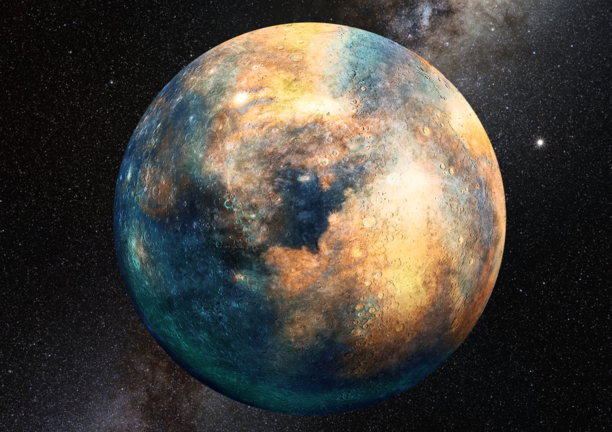 who’s existence has been theorized based on the orbital plane of distant Kuiper Belt objects. of six of the most distant KBOs, and the possible “Planet 9”. 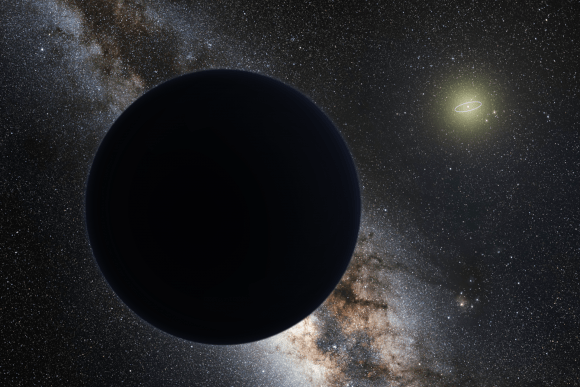 Artist’s impression of Planet Nine, blocking out the Milky Way. The Sun is in the distance, with the orbit of Neptune shown as a ring. Fly over the summit of Cerro Pachón in Chile with us and see how quickly LSST is becoming a reality! This video documents the progress of construction so far, dramatically capturing the scale and complexity of the ongoing project. 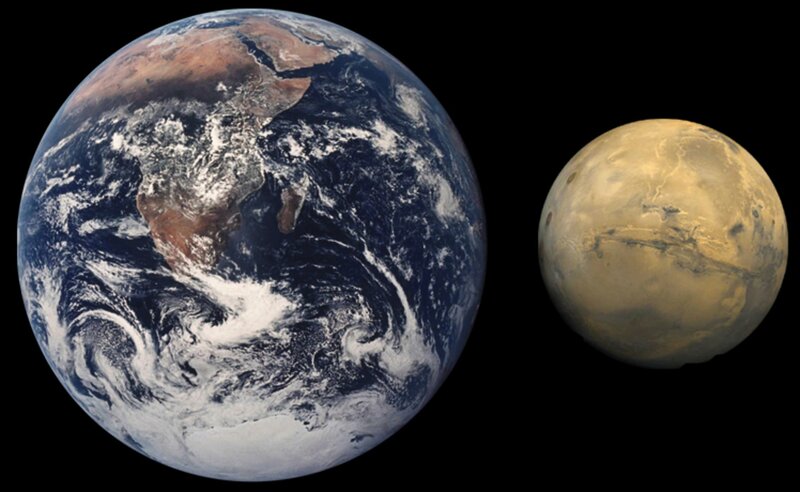 could be why Mars is significantly smaller than Earth. might have evolved. It also explains why and how the late heavy  bombardement might have taken place. Note that in the first model shown in the film, Neptune's orbit is smaller than Uranus's orbit to begin with. The film is slowed down in places to make the changes more obvious for the viewer. the orbital eccentricity (the degree to which the orbit is elliptical or non-circular). and the color is related to the amount of water and volatiles the object contains. 1-10 million years, which Earth is believed to have taken around 100 million years to fully form). For more info please visit my website! 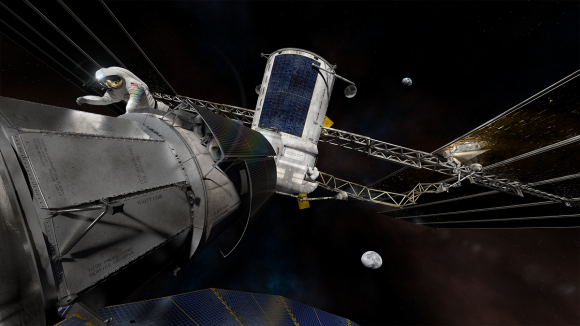 VONA is a space settlement design that tied for Grand Prize in the 2014 NASA-NSS Space Settlement Design Contest. under the instruction of Mr. Emmanuel R. (Apeejay School), from Jalandhar, Punjab, India. go along with it. 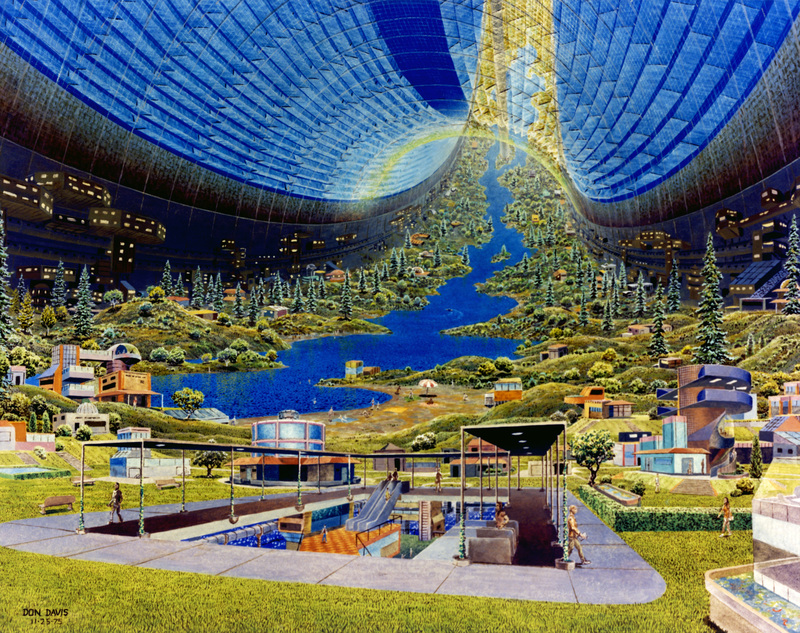 Piers Biznoy explains just how close we came to building orbital habitats in the 1980s in his new book New Space Frontiers. A one-minute/one-revolution fly-through of the Habitat. 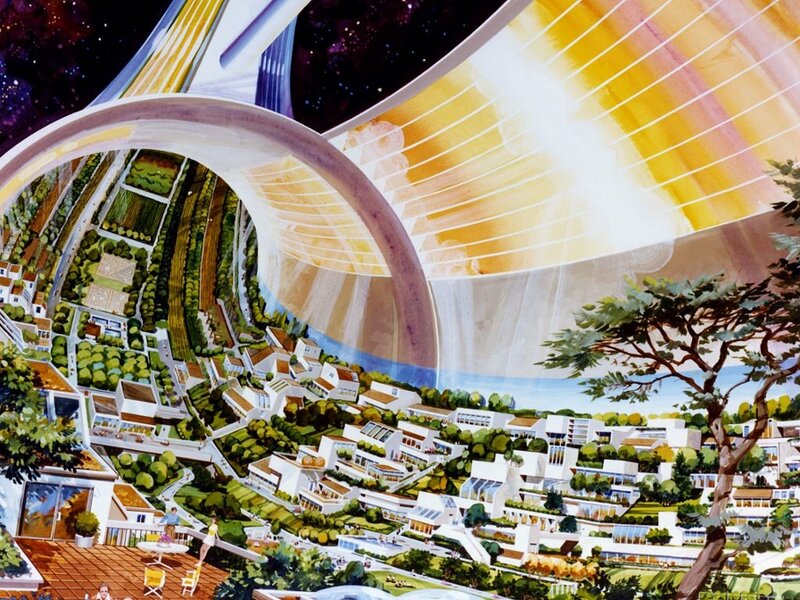 3 Types of Space Colonies: NASA Settlements and Space Travel For The Future Of Humanity! New Earths! "A billion years ago there was no life on land. In a phenomenal development, by 400 million years ago, land life was well established. We are at the very beginning of a similar, perhaps even more important, development. mostly on the International Space Station." 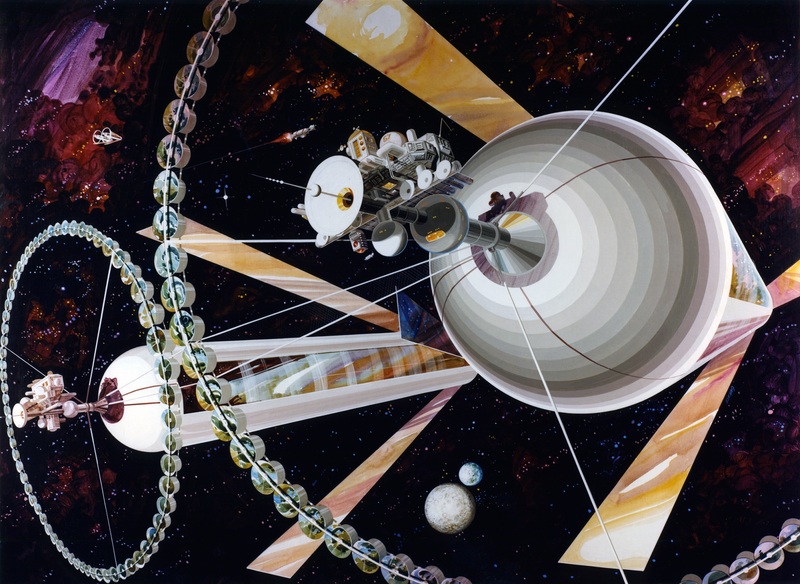 NASA has designed at least three Space Colonies for Interstellar travel that are capable of sustaining many generations of humanity for the long periods of time it would take to physically transport humans from one star system to another! All pictures are from NASA and are public domain except for: 428px-White_House_position_on_ET which is from the Wikimedia Commons. SUBSCRIBE if you enjoyed! Thanks to all my subscribed Fans! You are keeping FringeBingeTV alive! 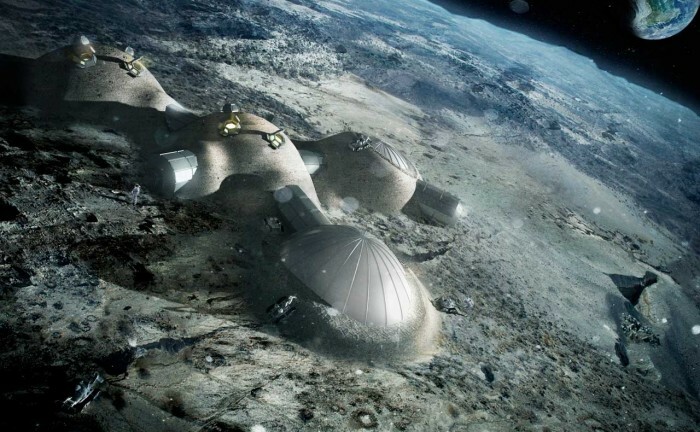 The ESA recently elaborated its plan to create a Moon base by the 2030s. 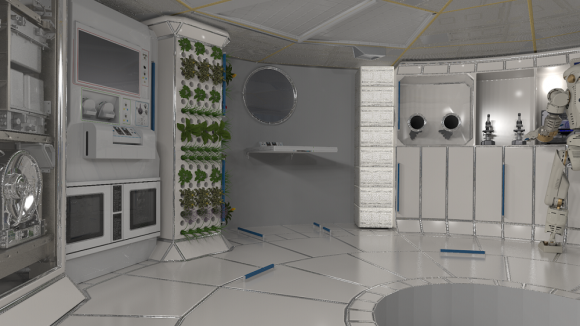 the possibilities of 3D printing to construct lunar habitations. 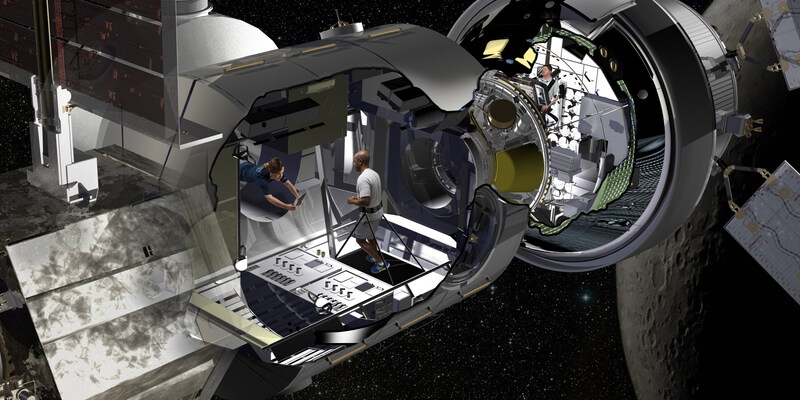 Artist’s concept of a Lockheed Martin-built habitation system with the Orion capsule. 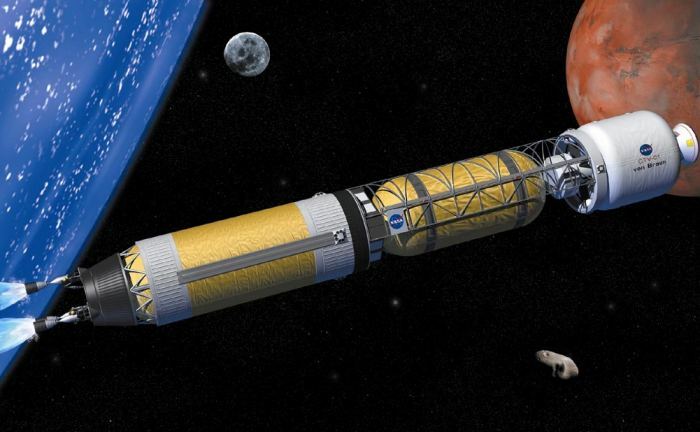 NASA already is developing the Space Launch System heavy-lift booster and the Orion capsule that will carry crews to low-Earth orbit and beyond. 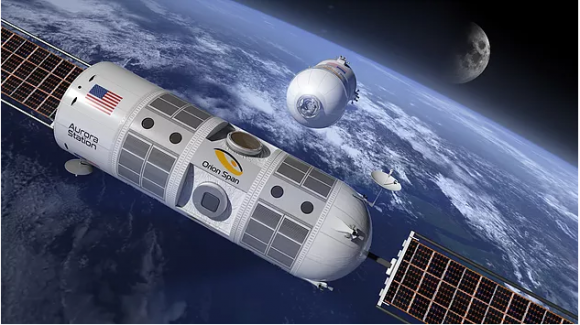 But Orion is far too small to support crews for long stays in so-called cislunar space or multi-year round-trip flights to and from Mars. which reflects sunlight onto the angled ring of secondary mirrors around the hub. Kalpana One tour from Bryan Versteeg Studios Inc. on Vimeo. With a radius of 250m and a depth of 325m, Kalpana One would spin at a rate of 2 revolutions per minute to give the feeling of one earth gravity on the level where everyone will live. This means that people could live long and healthy lives while their bones and muscles would develop as they would on earth. This example layout of the settlement shows all of the luxuries and recreation of a small town. 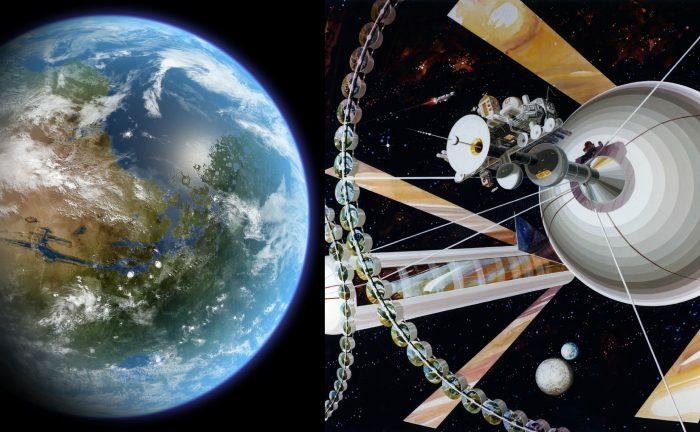 Artist's concept of a terraformed Mars (left) and an O'Neill Cylinder. 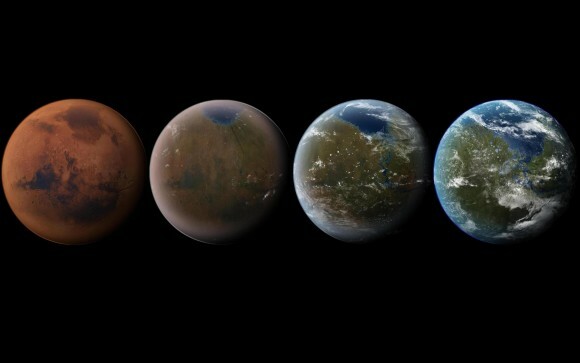 Artist’s impression of the terraforming of Mars, from its current state to a livable world. 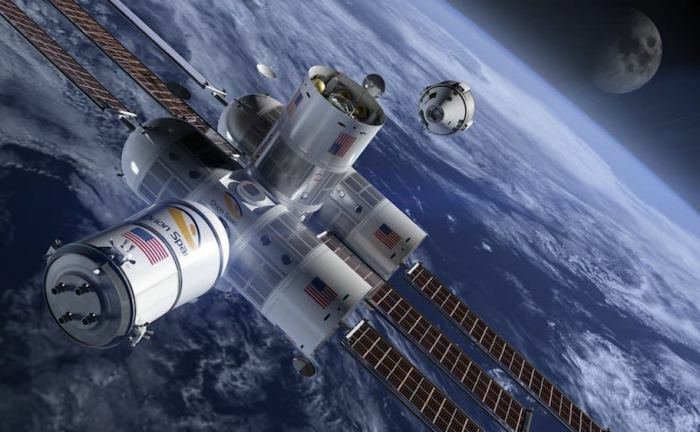 is designed as a habitable commercially owned module for use in low Earth orbit. 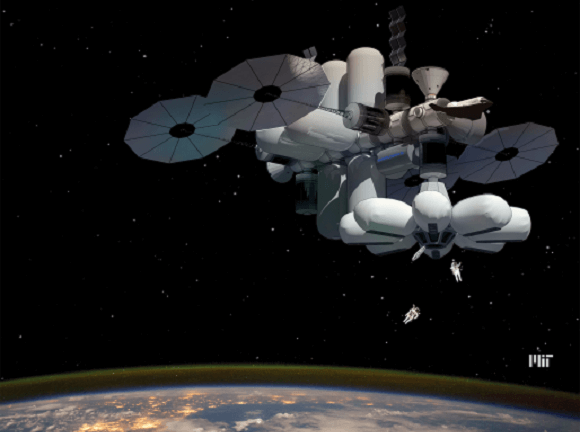 (like the Bigelow Aerospace B330 expandable module, shown here),will become a reality. 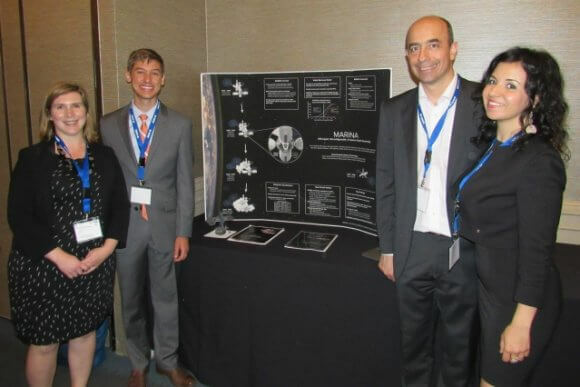 Matthew Moraguez, George Lordos, and Valentina Sumini. is dealing with early growing pains that may keep the concept from getting off the ground. from legal experts and scholars, but also generated tremendous enthusiasm from the general public. however their idyllic feelings appear to be faltering as the 'space nation' begins to take shape. 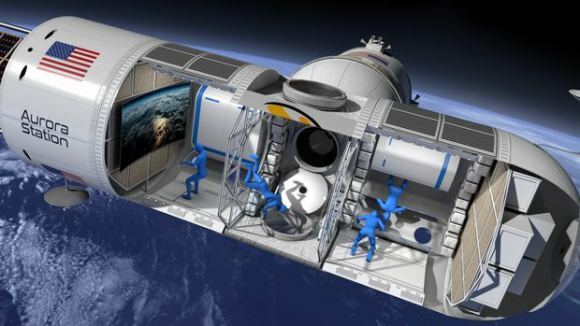 The Aurora Station space hotel will launch in 2021 and host its first guests in 2022. It has room for 4 guests and 2 crew. Aurora Station will have 5600 square feet of living space which can be configured as 2 or 4 suites. 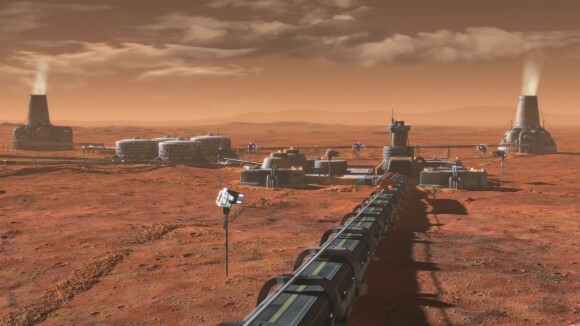 Aurora Station will also host micro-gravity research and in-situ manufacturing. in early missions, providing critical communications, life support and navigation to guide long-duration missions. 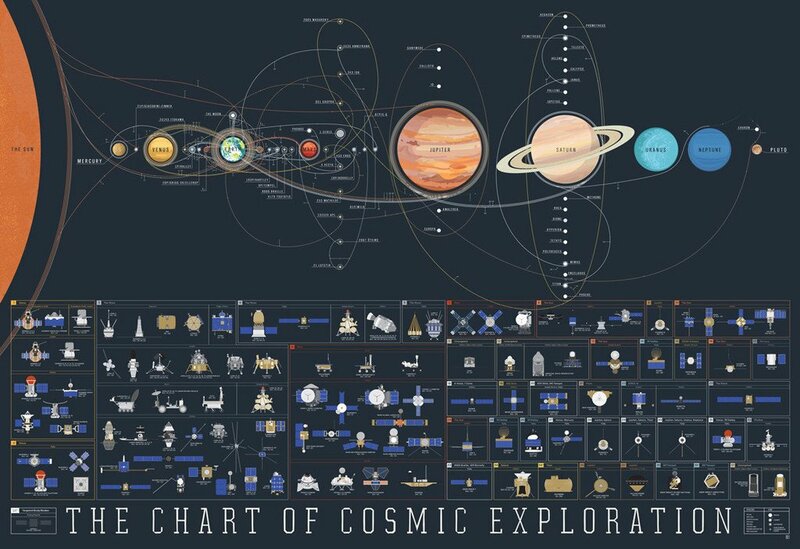 to exploring the Solar System; it’s known as the Deep Space Gateway. 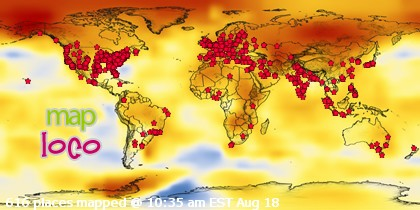 celebrated 100,000 orbits around the Earth. and other destinations in the Solar System. 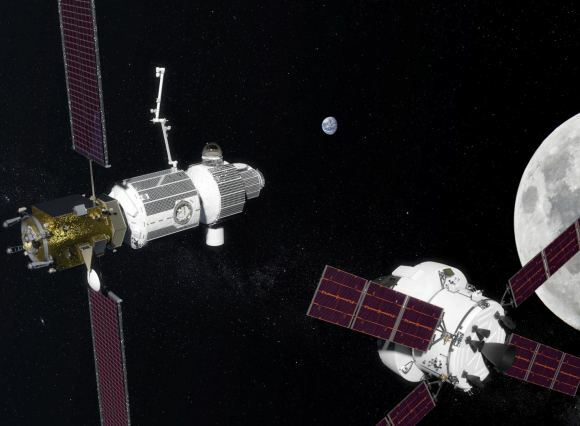 NASA’s Marshall Space Flight Center for possible future missions. 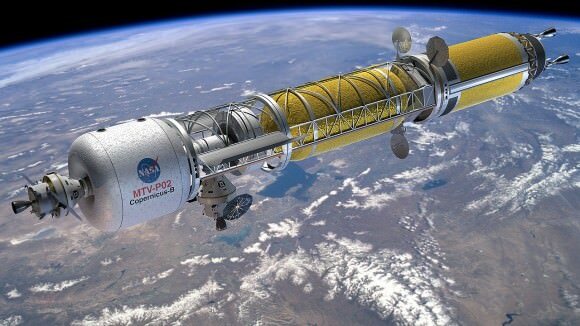 Artist’s concept of a Bimodal Nuclear Thermal Rocket in Low Earth Orbit. 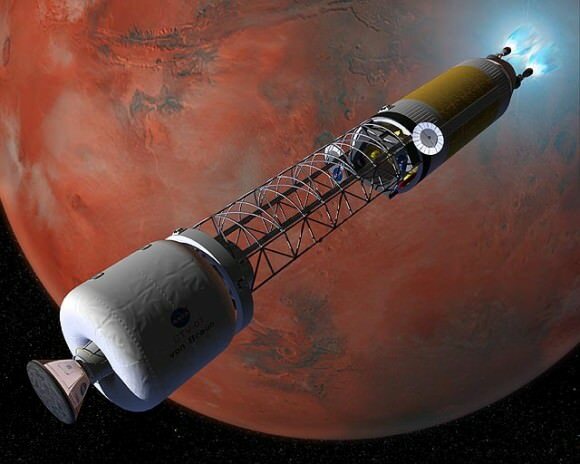 Artist’s concept of a bimodal nuclear rocket slowing down to establish orbit around Mars. 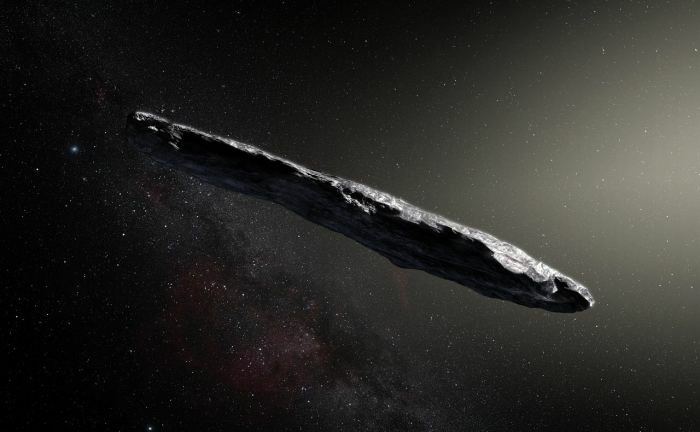 Artist’s impression of the first interstellar asteroid/comet, "Oumuamua". 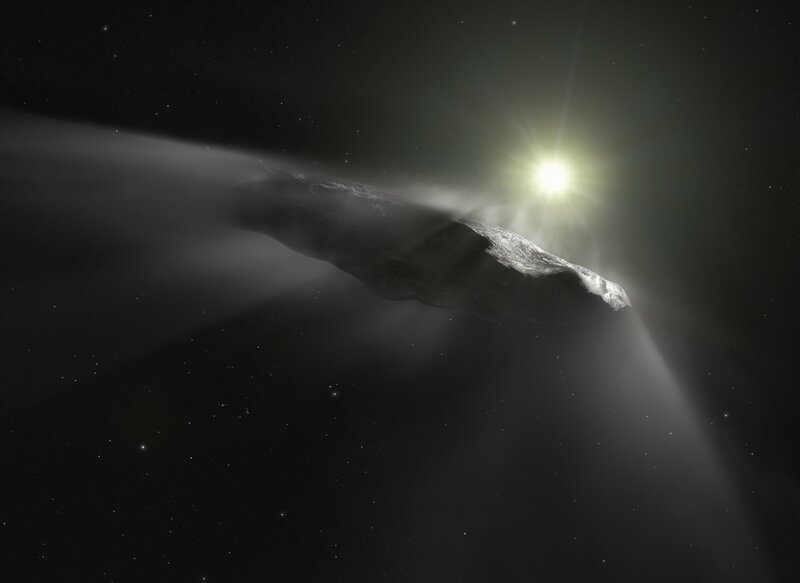 Artist’s impression of the interstellar object, ‘Oumuamua, experiencing outgassing as it leaves our Solar System.